his is a lovely arrangement for your Fall table. I love the simplicity used with the formal decor. The colorful leaves and apples just say Fall is in the air. Enjoy the Fall weather and start gathering leaves today. 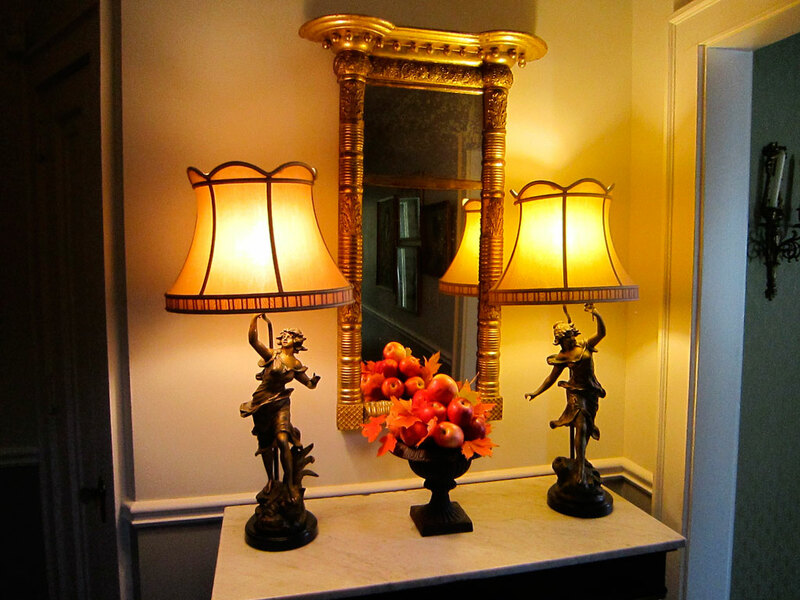 Gorgeous vignette…and I dearly love those lamps!